I’ve been a fan of David Allen’s philosphy for more nearly 30 years. 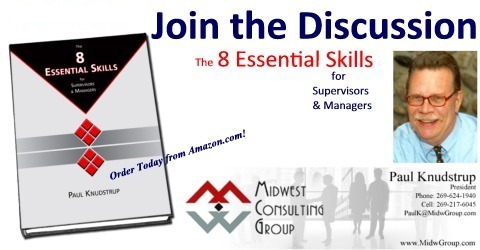 I think so much of his research, teaching, and writing on personal effectiveness that I’ve used it as a fundamental part of Managing Yourself (Skill 1) in The 8 Essential Skills. Beginning when I brought David to Kalamazoo and WMU’s Fetzer Center back in 1985, I’ve used and taught his ideas with our clients. In the 1980’s and afterward the state-of-the-art tool for effectively keeping track of all those commitments, tasks, projects, and information was the vaunted Time/Design “system.” Then came the Palm series of PDAs, which were sure an improvement in portability. Until the iPhone (and its offspring and clones) the Palm was the way to go. Ever since the iPhone showed up, I’ve been looking for an App that will let me do what the Palm almost did; make simple lists to track the task and project part of my system. Then I found a brief story onTapTask, and decided to give it a try. As I said in my review on the App Store, “I’ve bought, used, and discarded all the complex list-making Apps. Waiting in vain for a simple yet flexible ways to replicate my lists from the Time/Design-based loose-leaf “system.” Finally, along comes TapTask. The new iPad version works great without trying to be super-slick. No colors, only two font options, no complex multi-tap menus just to get something written down. This App just flat out “works.” . . . this fills a big hole in the App Store. Hat’s off to Sonny Fazio and the folks at Sonster Media. A Great App!” And with the iPad version it’s easy to have my lists sync via iCloud so both the iPhone and iPad are always up to date. I like it! For those using other tools, please pardon the digression. For iPhone etc. users, Yea!